I’m prompted to write this after reading this great blog article on how to have a great home gym for under $100 dollars. I got excited about it, as it is a list of items I can totally get behind. The author, Kevin Larrabee, put together the same list I would, and I have everything he lists except the iron gym, as I have a permanent bar in my basement. His premise is that even if you belong to a gym, you might not be able to get there all the time, and you should be able to get a workout in, no matter what. I am a big believer in joining a gym for many reasons. First, you get to know people, which puts a subtle pressure of accountability on you. Second, if you are trying new things, it never hurts to have other people around to spot you, or call 911 if you do something stupid. Third, a lot of home equipment is not very safe, where commercial gym equipment is very sturdy and inspected often. 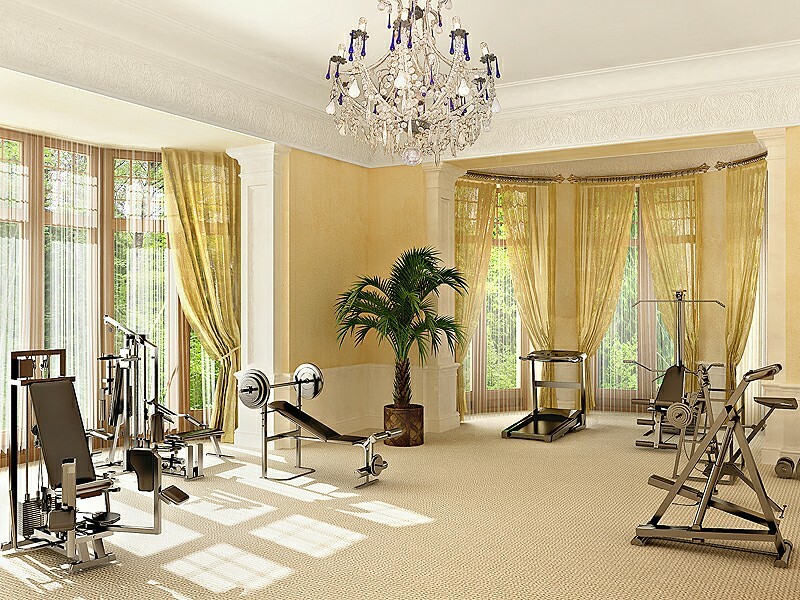 Last, the gym will offer more equipment than most of us could ever afford to buy. I use very few machines at the gym, and I’m not a big fan of machines. I think they have their place for rehab and if you need to make one muscle big for bodybuilding competition. I can’t argue that you can target one particular muscle better with some of those machines. I use the squat rack, the pull up bar, the cables, swiss ball, bosu, the kettle bells, dumbbells, and barbels. That is still a lot of equipment, that I wouldn’t even have room for at home. The other big plus of the gym is space. I don’t have a large house, so there are many things I just don’t have room to do.